Young people across South Wales are being given the chance to win a prize bundle worth over £250 by entering a talent competition launched by the charity Crimestoppers’ youth service, Fearless. Called ‘FAME by Fearless’, the competition is for 11-16 year-olds, and will be the third competition the charity has run in the UK, accepting entries from across South Wales from those with talents commonly seen on popular shows such as Britain’s Got Talent. 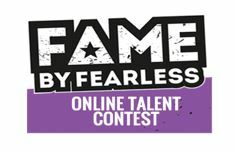 FAME by Fearless asks youngsters to upload short clips showcasing their talents to YouTube, whether that be singers, dancers or athletic skills such as gymnastics or football tricks. Once uploaded, they simply need to fill out a quick form on the Fearless.org website – a site where young people can also give information about crime 100% anonymously. The initiative, is running alongside a new campaign by Crimestoppers in Cardiff to encourage safe and anonymous reporting of knife crime – including speaking up about those who regularly carry weapons. The independent charity is raising awareness of its service, which marks its 30th anniversary this year, where people can ring its anonymous telephone line 0800 555 111 or report through its anonymous online form. Speaking about the competition, Crimestoppers Wales Manager Ella Rabaiotti, said: “I’m excited to launch FAME by Fearless for young people in South Wales as it’s important that we as a charity engage with them positively and ensure they know they have a service that doesn’t judge, but also gives them a voice to speak up about crime anonymously. Entries close on 1st July and will be narrowed down by the Fearless team, before a panel of judges decide on the Final 10. Finalists will appear on the site where they will face the public vote, where friends and family can get behind entrants, helping them to win the overall prize. More details on the competition can be found by visiting the website www.fearless.org/famebyfearless and on Fearless at www.fearless.org.